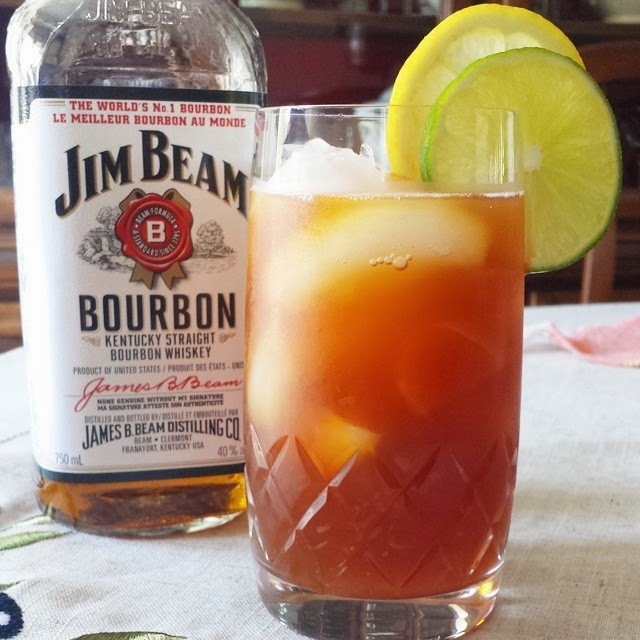 A boozy, refreshing and delicious take on the perfect summer drink; iced tea. Use whatever tea you like, I kept it simple with regular black tea but any flavoured black tea or herbal tea would be delicious in this drink. Enjoy! 1. Combine water and sugar in a saucepan and bring to a boil. Stir the sugar to make sure it is dissolved.Take the pan off the heat and add the tea bags and mint. Let the tea steep for 5 - 10 minutes, depending on how strong you want the tea. 2. Remove the tea bags and mint (drain well to get out all the liquid) and transfer the liquid to a pitcher. Add the lemon, lime, and orange slices and let it cool to room temperature. Add bourbon, cover and store in the refrigerator until it is well chilled. 3. Serve in glasses filled with ice and garnish with thin lemon or limes slices.